During our travels in South America I was always very impressed by the devotion of the Andean people for PACHAMAMA, the indigenous name for Mother Earth. 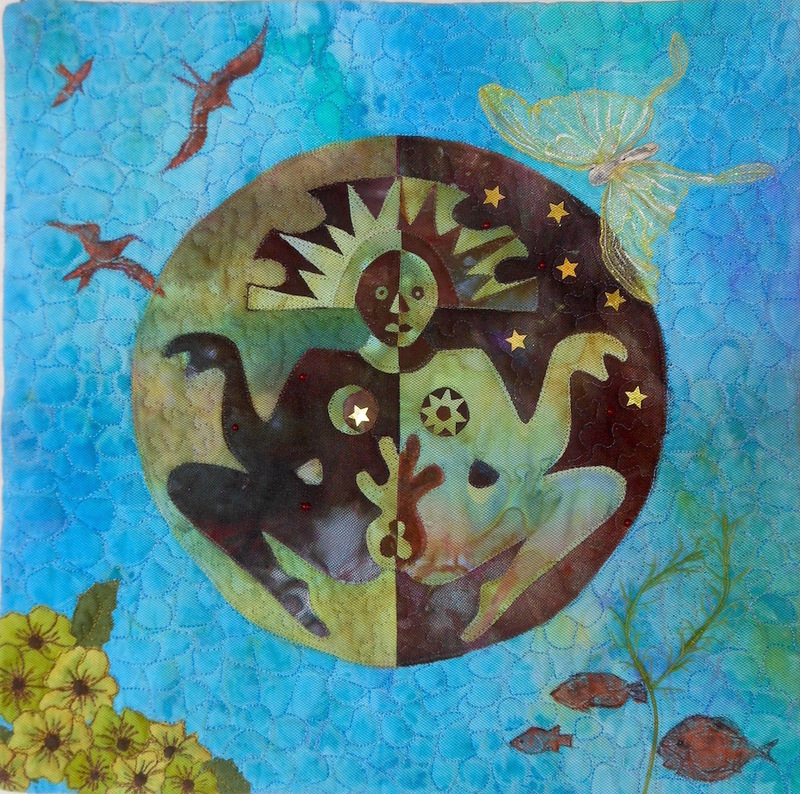 Pachamama is the highest divinity of the Andean people since she is concerned with fertility, plenty, the feminine, generosity and ripening crops, besides providing protection. Since Earth is one of the four elements I choose to make a tribute to Pachamama for this theme. On the internet I found several logos that depict Pachamama. From there I drew my own design. Beautiful Els, a great interpretation! An element of Mother Earth what a great idea and the interpretation is marvellous with the flowers, fish, birds and butterfly. I like the subtle change to the background fabric with the rainbow organza. Beautiful quilting pattern. I love the symbolism and colours of this piece, well done. Els, this is really your quilt! The symbolism and the memory to your traveling. Beautiful details.